During our last regular meeting we held a “Peace Forum”: It was a very interesting luncheon because everybody was invited to put some thoughts into what peace means and present them to members & guests. 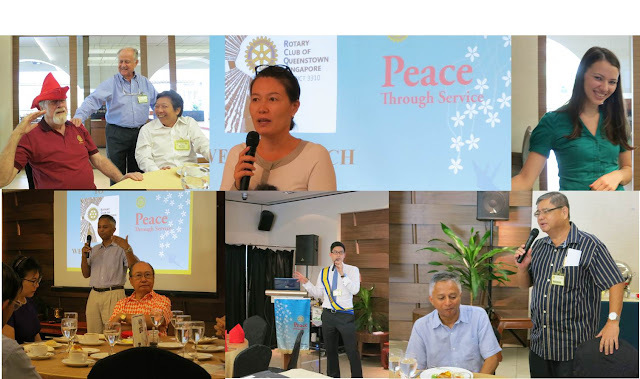 Among others President Chee, Rtn Sissy, Rtn Michael, PP Wolf as well as guests from Russia and Sri Lanka shared with us their ideas of peace. PP William Goh proposed the international toast. SAA David assisted by Rtn Sydney collected sunshine.